Considering all the professional equipment available to today's home chef, a set of commercial-quality knives is a necessity. 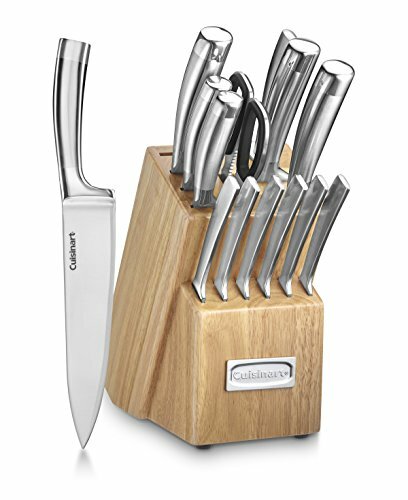 Cuisinart Professional Knives are crafted from premium German steel and honed to an ultra-sharp, precision V-Edge, identical to those preferred by world-class chefs. Our V-Edge is stronger, harder, and sharper than conventional knives, crafted to give the everyday chef a professional edge. Time to get in line.